Interest compounding allows your savings to grow at a faster rate. 1. 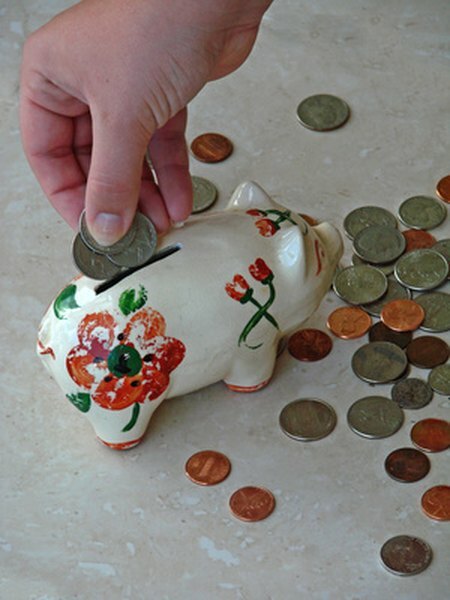 How Often Is Interest Accrued on a Savings Account? Interest compounding refers to the increased rate of return when the interest earned on an account gets added to it more often than once per year. When the interest is added, that interest starts earning additional interest. The more often interest compounds, the greater the effect. If your interest rate and savings amount are both low, the difference won't be too large. However, if you've got a substantial savings account earning a higher rate of interest, whether your bank compounds interest annually, monthly or even daily could make a sizable difference. Divide your annual interest rate by the number of times each year interest compounds on your savings account. This is the periodic interest rate. For example, if your savings account pays 3.36 percent each year but compounds interest monthly, divide 3.36 percent by 12 to find the monthly rate is 0.28 percent. Calculate the number of periods over which interest accrues by multiplying the number of periods per year by the number of years. For this example, if you want to figure how much interest accrues over two years, since interest compounds monthly, multiply 2 by 12 to get 24 periods. Divide the periodic interest rate by 100 to convert it to a decimal. In this example, divide the monthly rate of 0.28 by 100 to get 0.0028. Add 1 to the periodic interest rate. Continuing the example, add 1 to 0.0028 to get 1.0028. Raise the result to the number of periods over which interest accrues. "Raising" means to use exponents. In this example, raise 1.0028 to the 24th power to get 1.069408931. Multiply the result by the amount you've invested to find the value of the savings account after the specified period. Continuing the example, if you invested $50,000, multiply $50,000 by 1.069408931 to find the $50,000 has grown to $53,470.45. Subtract the initial value from the final value to find the compound interest. Finishing the example, subtract $50,000 from $53,479.45 to find you accrued $3,479.45 in interest on your savings over the two years.